Old map by POSTHUMUS - Kaart van de Bavolking der Aarde. Title: Kaart van de Bavolking der Aarde. Size: 7.7 x 12.0 inches. Condition: Chromo lithographed map. Some light marginal spotting. Generally in very good condition. Accompanied by 5pp text with illustrations and maps. 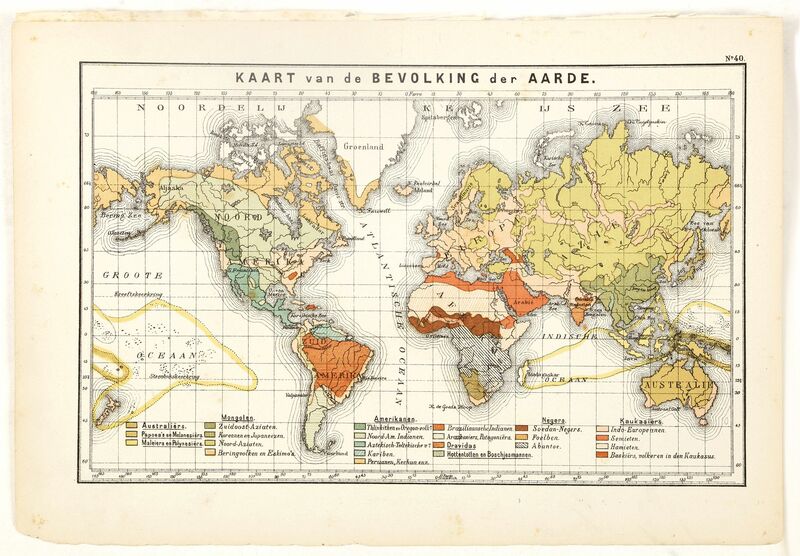 One of the earliest thematic world maps published in the Netherlands from "Atlas der natuurkundige aardrijkskunde. . .". 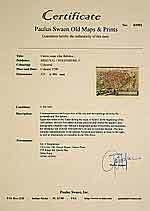 prepared by Nicolaas Wilhelmus Posthumus. Showing the different population types.